Is there life left deep within the Ellcrys Tree? The upcoming Paramount Network has cancelled The Shannara Chronicles after two seasons. Reportedly the producer, Sonar Entertainment, is shopping season three of The Shannara Chronicles to other outlets. Shannara and its fans are used to moving. Despite the fact that its first season was the number one scripted series on MTV, parent company Viacom moved it to Spike TV for season two, ahead of that cable channel’s rebranding as Paramount Network, which happens this Thursday. The Shannara Chronicles stars Austin Butler, Ivana Baquero, Manu Bennett, Aaron Jakubenko, Marcus Vanco, Vanessa Morgan, Malese Jow, Gentry White, Caroline Chikezie, and Desmond Chiam. When season two kicked off on Spike, chaos had overtaken the Four Lands, as a body called The Crimson began to hunt down magic users. 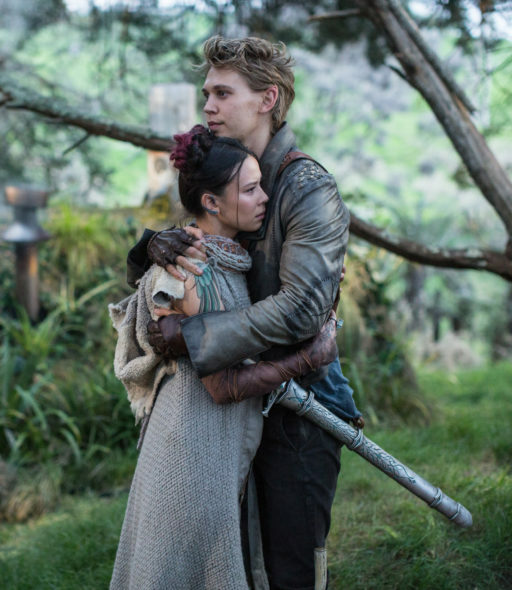 For now, the season two finale, episode 2.10, “Blood” will serve as The Shannara Chronicles TV series finale. The second season of The Shannara Chronicles on Spike averaged a 0.09 rating in the 18-49 demographic and 246,000 viewers. Compared to season one on MTV, it was down by 77% and 72%, respectively. Learn how The Shannara Chronicles stacks up against other Spike TV shows. TV Guide has confirmed that The Shannara Chronicles‘ cancellation with Paramount Network President Kevin Kay. What do you think? Are you a fan of The Shannara Chronicles TV series? Will another network pick up the third season? Where would you like to see The Shannara Chronicles land? More about: Paramount Network TV shows: canceled or renewed?, Spike TV TV shows: canceled or renewed?, The Shannara Chronicles, The Shannara Chronicles: canceled or renewed? what the hell Bring this show back please this is unfair! My daughter and I was disappointed to learn that the show was canceled. We had never heard of it before Netflix. We are going to read the books now to see what we have been missing.